When is VioVet merging with Berriewood? Why is VioVet merging with Berriewood? VioVet and Berriewood have been under the same ownership for the past three years, and the merge will mean customers have access to a much wider range of products, including prescription medications. No – VioVet and Berriewood have been operating from the same premises for the past three years. If you only have a Berriewood account, from the 25th October you will log in through VioVet (your login details will stay the same). If you have both a Berriewood account and a VioVet account registered under the same email address, you will now just need to use your VioVet login details. If you think your accounts should have merged and they haven't, please contact us (it may be that the details differ slightly). If you have two accounts which are registered under different email addresses, please notify us. Will delivery times be changing? No. The merge won’t have any impact on delivery timescales. What will happen to my Regular Delivery? Your Regular Delivery will continue as normal. 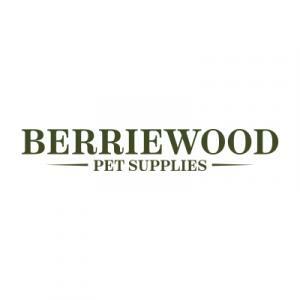 Will I still be able to purchase Berriewood food? Yes - all Berriewood foods, including the BARF diets and frozen minces will be available on VioVet. Will I be able to see my previous Berriewood orders on my VioVet account? Yes, you will be able to see all your previous Berriewood orders when you log into your VioVet account. Will I still receive Berriewood newsletters? No, all communications will now come from VioVet. Your email preferences will remain the same, so if you are currently unsubscribed from the Berriewood mailing list, you will continue to be unsubscribed from the VioVet mailing list. If, on the other hand, you have ‘opted in’ to receiving emails, you will still receive these but they will now come from VioVet. As a Viovet and Berriewood customer I am very happy with this merger. All my dog and cat purchases coming from the same place. I like this!